Home APPS Why Is Zuckerberg Planning To Integrate Facebook With Whatsapp, Instagram? Why Is Zuckerberg Planning To Integrate Facebook With Whatsapp, Instagram? Tired of switching Apps? Well, Facebook may solve your problem. 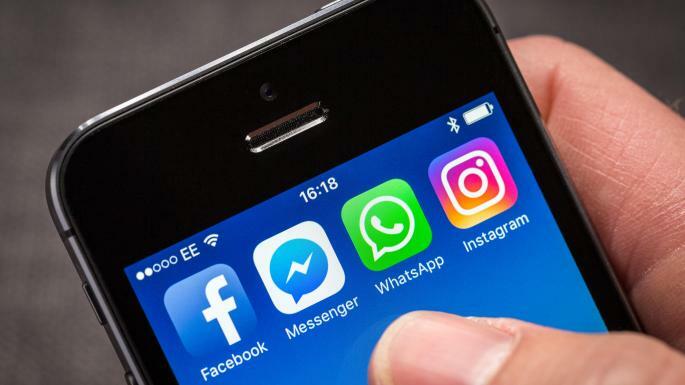 Mark Zuckerberg, Chief Executive, Facebook Inc is planning to unify the underlying messaging infrastructure of the WhatsApp, Instagram and Facebook Messenger services, the New York Times reported on Friday. This enables you to message across all services. As per the reports, The individual services would still remain as standalone apps. Facebook will create a new way for the users to communicate across the Apps. The users, with a Whatsapp Account, would only be able to send encrypted messages to someone. What Is The Reason Behind Facebook Merger With Whatsapp, Instagram? The company has faced a slow down due to mounting privacy issues, fake news, and other political scandals. This integration might keep the users within the company’s ecosystem and reduce the number of people moving to other services offered. Further, Facebook wants to build the best messaging experience. It believes that homogenizing will make messaging faster, simple, reliable, and private. “We’re working on making more of our messaging products end-to-end encrypted and considering ways to make it easier to reach friends and family across networks”, informed in the Reports. Will, It Put Your Privacy At Risk? The homogenization of Apps sounds interesting and it will save time too. But How will it work? I mean what will happen if an Instagram user messages a WhatsApp user? For now, Whatsapp users can assume that all of their chats are end-to-end encrypted. But How it will let users know whether their chats are encrypted once they start using Facebook’s newly homogenized platform. It’s unclear what sort of defaults Facebook will impose and take on the above challenges, without compromising the users’ privacy and security.